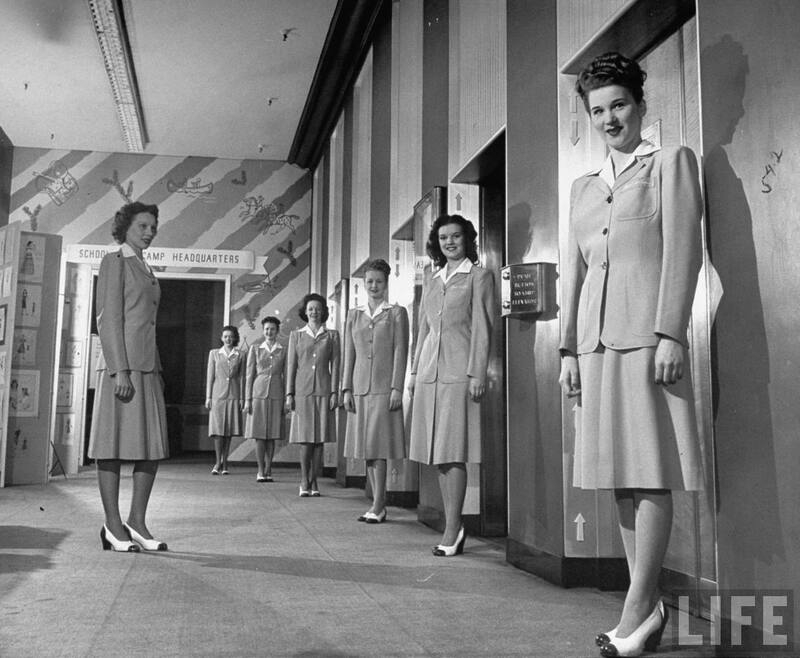 Charm School Extra Credit: The Elevator Girls of Marshall Field & Co. 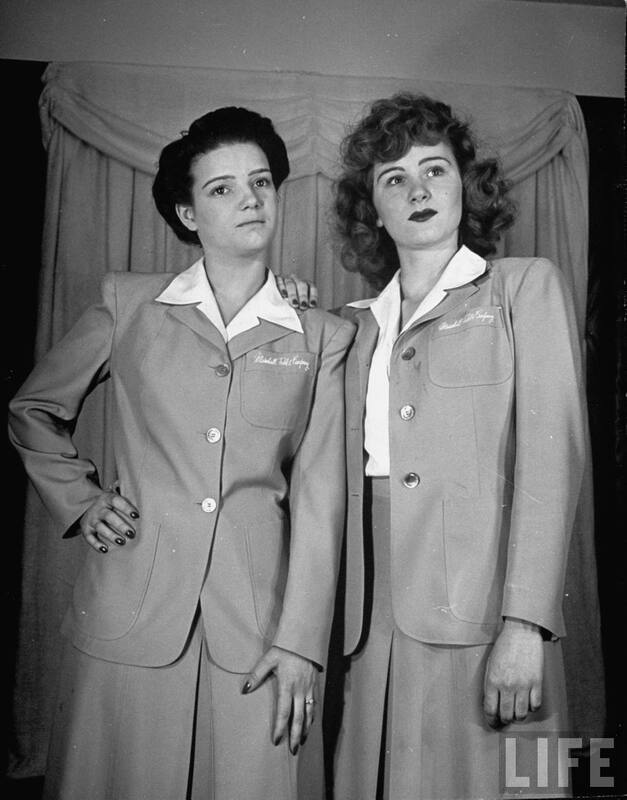 In 1947, Marshall Field & Co., Chicago’s biggest department store, decided that their elevator girls were in need of a bit of finishing, so they were enrolled in a local charm school where they received lessons on everything from makeup to elocution. 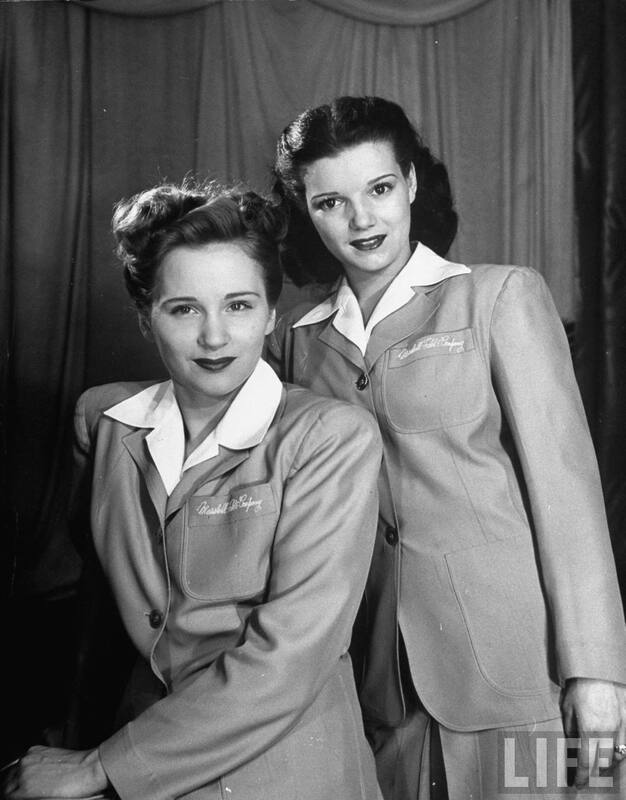 The article noted that the “finished” ladies were happier and much more beautiful, even if there didn’t seem to be a correlating increase in sales, and that they all hoped to follow in the footsteps of actress Dorothy Lamour, who was scouted while working at the department store. Aside from the amusing illustrations — who knew there was a correct way to bend over? 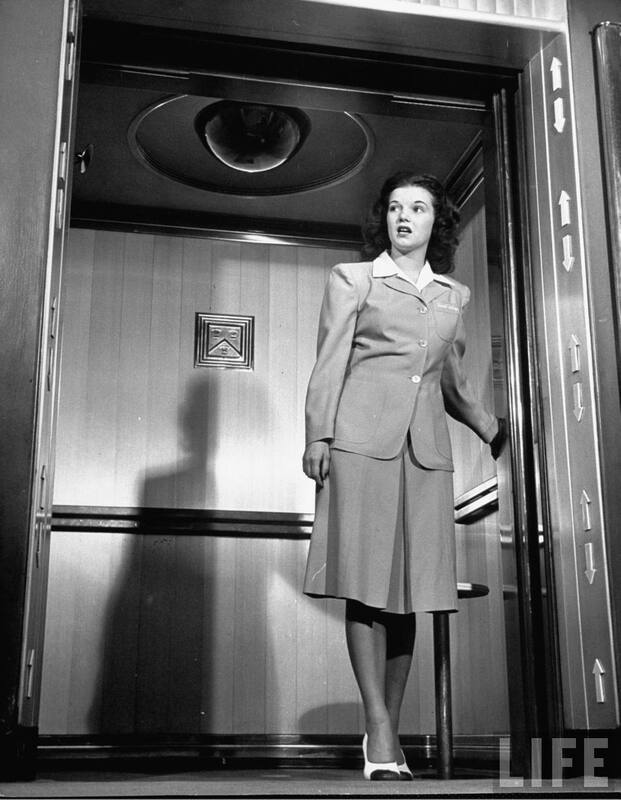 — I’ve had a thing for elevator girls ever since seeing The Apartment (1960, and which happened to be the last black and white film to win Best Picture at the Oscars, until The Artist, this year), where Shirley MacLaine plays elevator operator Fran Kubelik, who catches the eye of Jack Lemmon’s hapless corporate drone C. C. Baxter. Written, produced and directed by Billy Wilder, it is an excellent film that you must see immediately. 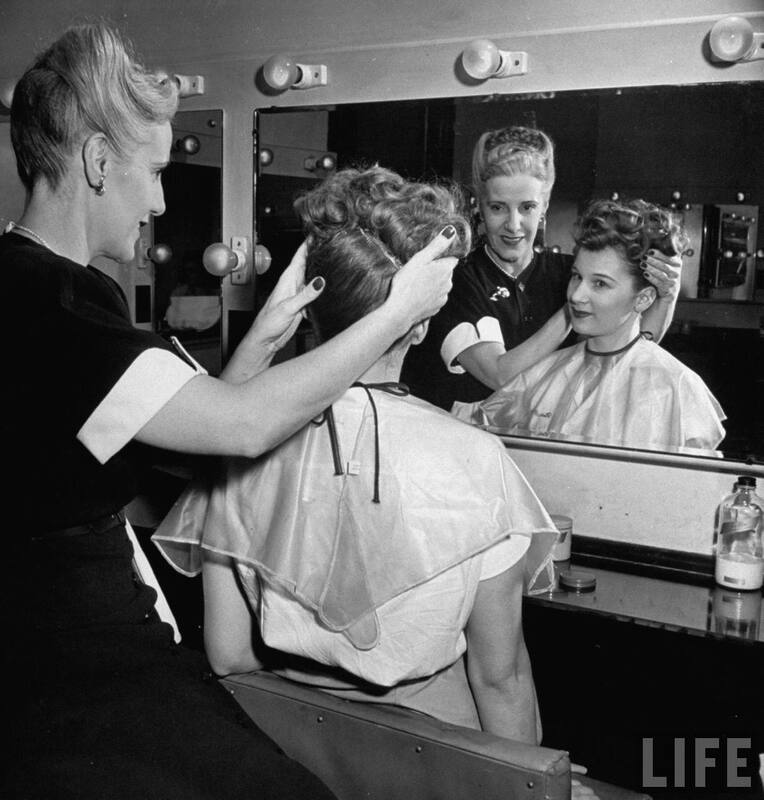 To read the article that appeared in the Sept 15, 1947 issue of Life, head here. For further Marshall Field’s nostalgia, head here. 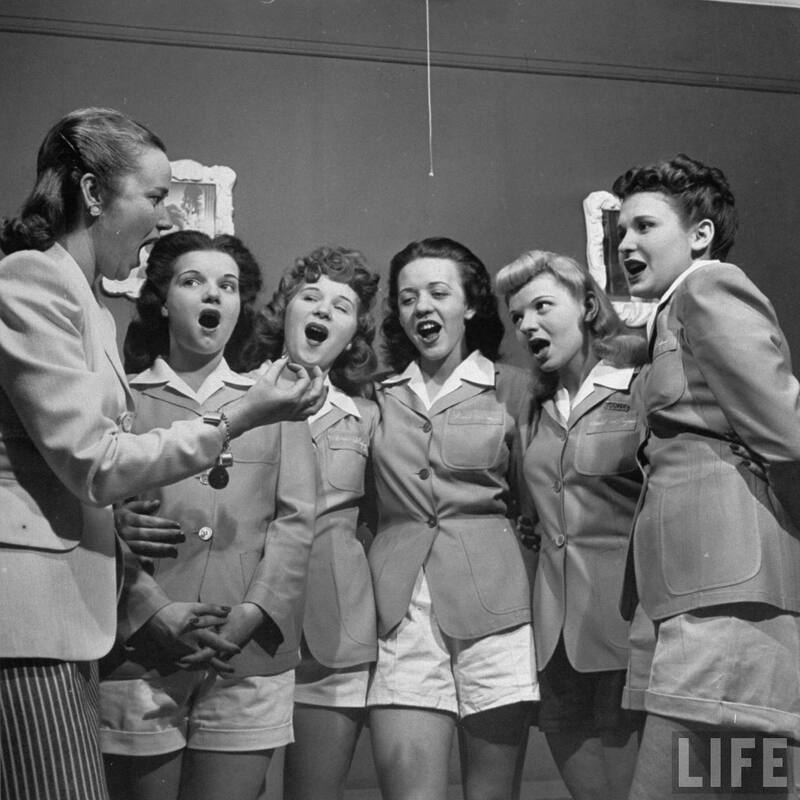 § 2 Responses to Charm School Extra Credit: The Elevator Girls of Marshall Field & Co.
June is my Mom, how fun to see this article with photos more clear than the 69 year old magazine copy we have. Thank You so much for writing this article. LKC. 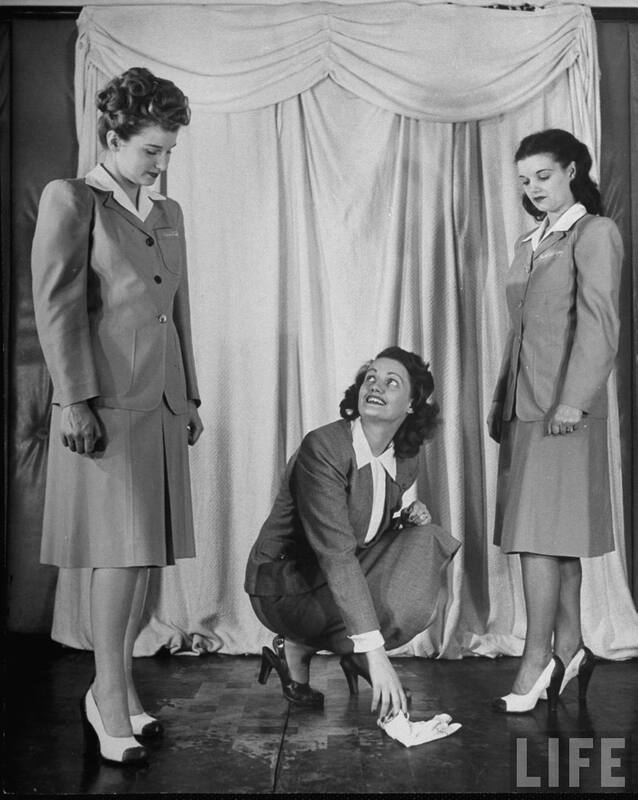 You are currently reading Charm School Extra Credit: The Elevator Girls of Marshall Field & Co. at Quite Continental.